Learn how to aggressively go after a new part of the market, completely through channel partners. 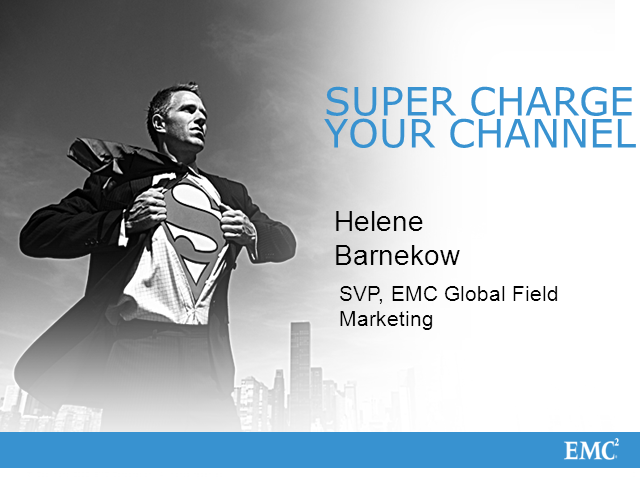 Helene Barnekow, SVP WW & Channel Marketing, will discuss how EMC quickly recruited new partners and enabled them to create demand. This is a case study stretching over the worldwide market place, including the U.S., Latin America, Europe, Middle East, Africa and Asia. She will give you insights into how to orchestrate and drive such programs globally while executing locally.